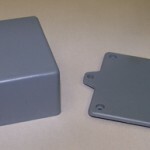 These enclosures are critical in providing safety from electrical shocks, which make them suitable for use in mounting switches. Such enclosures of specific nature are designed as per the needs of a given piece of electrical equipment and offer aesthetic benefits too. Casings for electronics are greatly recommended if you are to place the gadgets in public places or other types of surroundings where small children are to be found. They are not designed solely for safety but also do generate a pleasant sight. 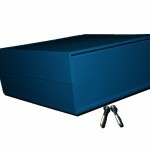 Enclosures are crafted flawlessly to facilitate easy adjustment and significantly differ from orthodox spacious boxes. They have a unique elegance and they are designed to house and protect expensive electrical equipment. Using an electronic enclosure offers compatibility and keeps you safe from compromising on aspects of quality and protection. 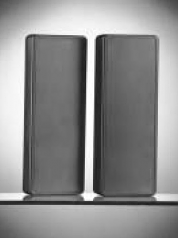 Electronic casings are framed to cope with any possible vibrations or shocks arising. It is highly recommended that you make no compromises on purchasing such enclosures. Manufacturers of such equipment improve it to suit the demands of clients. Technological expertise is crucial in order to produce the exquisite crafting required by the protective cases. 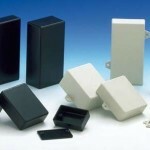 Electronic enclosures are designed to meet the thermal performance requirements recommended by regulatory authorities. 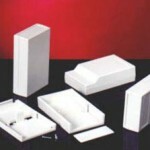 Casings produced from different types of materials range from shock-absorbing aluminum to highly durable plastics. Reasonable room is left for a user to reach connectors or cables easily. 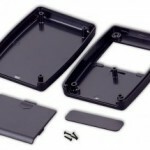 Orders can be placed for enclosure systems in customized designs too. The material used for manufacturing such protective jackets is also weatherproof. It offers elegance and most importantly expands the electrical equipment’s lifetime. Every piece of manufactured casing possesses a specified Ingress Protection (IP) rating. This measurement represents the protection level and capacity of such an enclosure against any possible external intrusion like dirt or moisture. The enclosures cut down on undue long-term expenditures, which a user may spend on repair or maintenance. At times, maintenance cost may become excessive. Protecting equipment with specially designed enclosures then becomes a genuine relief from incurring excessive costs. 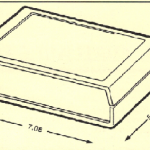 Electronic enclosures with variable IP ratings may be used for different conditions. They are designed in different ways for dry or rainy conditions. Any normal enclosure can offer all-round shielding from external intrusions, whether these are dirt or moisture. Protective enclosures sufficiently cut down on the proportion of capital expenditure that needs to be spent long term on equipment. You can undertake maintenance with ease perhaps once in six months or so. Among the best gains of using an electronic enclosure is that it shields the environment and its inhabitants from experiencing damaging effects while such electrical equipment is in use. The protective shields have to abide the REACH and RoHS production and use standards, and often have EMI and RFI shielding provisions too.